I’m taking this cue from Arun over on the blog Angry Asian Buddhist, which explores issues of race, culture, and privilege in American Buddhism. I want to take Arun up on that invitation and highlight a few of the contributions of Buddhists of Asian and Asian American descent to the field of socially engaged Buddhism. Please note that the list includes people born in the U.S. as well as born in other countries… I couldn’t imagine a list about engaged Buddhism that left off folks like Kaz Tanahashi and Thich Nhat Hanh, so that’s why I expanded on Arun’s original suggestion. This list is by no means exhaustive… I’m only touching on a few of the engaged Asian and Asian American Buddhists that I have known, worked with, and deeply appreciate. Anchalee Kurutach was born and raised in Thailand but has lived in the U.S. since 1988. 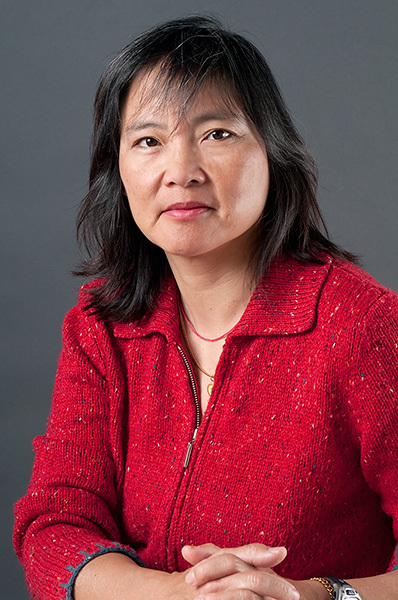 She has been involved with refugee and immigrant work for over twenty years in both Asia and the U.S. Anchalee is very active in both the Buddhist Peace Fellowship as well as the International Network of Engaged Buddhists. Anushka Fernandopulle, a dharma teacher in the Theravada tradition, is on the leadership sangha of the East Bay Meditation Center, in Oakland, CA. In addition to her past service as a board member for the Buddhist Peace Fellowship and her support for many other progressive organizations, Anushka brings a dharmic perspective to politics: she serves as a mayoral appointee to the San Francisco Citizen’s Committee on Community Development, a commission that advises the city on community development policy. Canyon Sam is a third generation Chinese American activist, author, and playright. She is the author of Sky Train: Tibetan Women On the Edge of History. After spending a year backpacking through China and Tibet when she was in her twenties, Canyon became very involved in advocating for Tibetan human rights and she helped to found the Tibetan Nuns Project. Duncan Ryuken Williams, a Professor of Buddhist Studies at UC Berkeley, has written on Japanese Buddhist history, Buddhism and environmentalism, and American Buddhism. He is the author of several books, including Buddhism and Ecology: The Interconnection of Dharma and Deeds (Harvard, 1997). Sister Jun Yasuda, whose picture graces the new masthead of the Jizo Chronicles, is part of the Nipponzan Myohji order. She has led and participated in peace walks to address issues such as nuclear disarmament, prison reform, and Native American rights for many years now. Sister Jun-san lives at the Grafton Peace Pagoda in upstate New York. Kaz Tanahashi, born in Japan, has lived in the U.S. since 1977. Besides being an artist, author, and translator (his recently updated translation of Dogen’s Shobogenzo was just published earlier this year), Kaz is very active in environmental and peace issues. He founded the organizations A World Without Armies and Plutonium Free Future (with Mayumi Oda). 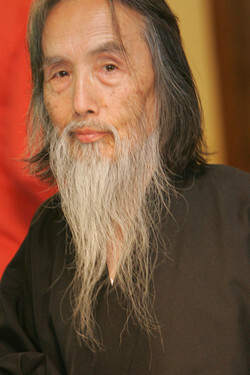 Ryo Imamura was politically active on the Vietnam War issue and farmworkers’ rights, and along with Robert Aitken Roshi helped to found the Buddhist Peace Fellowship in 1978. Ryo is currently a professor of East-West Psychology at Evergreen State College in Olympia, Washington. Thich Nhat Hanh – No list on engaged Buddhism would be complete without mention of Ven. Thich Nhat Hanh, who coined the term while he was still living in Vietnam during the war. Thay’s activism includes founding the School of Youth for Social Service (SYSS) in Vietnam, but probably his most important contribution to socially engaged Buddhism is his embodiment of what it means to “be peace” as a way of working toward peace. Posted in Harmony and Difference and tagged Asian American, Buddhist Peace Fellowship, International Network of Engaged Buddhists, Thich Nhat Hanh. Bookmark the permalink. Such awesome people! Thanks, Maia. I’ve personally benefited from the teaching of Anushka and Mushim, and I feel so grateful to them and to their respective teachers. I’ve also benefited from the Vipassana meditation centers established under the guidance of S. N. Goenka and his wife, Illaichi. The dana-only basis of the centers, and the opportunities to stay in residence as a long-term volunteer, were/are a departure from what I had seen before, and really helped me to appreciate and engage with the dhamma in a deeper way. And thanks Arun, if you’re reading, for suggesting this to the Buddhist blogging community! Bhante G (Henepola Gunaratana Mahathera) has made a huge difference. I wonder why he has been excluded. Thanks for your comment and for bringing Bhante Gunaratana into the mix. I agree he has made a huge contribution. As I noted in the introduction to my list, it was not meant to be exhaustive at all. Primarily I was listing people whom I have had the honor to know and practice with, in some capacity.